by introducing them to a growing and active life with Christ. The above statement isn’t just a catchy slogan, it’s what IMPACT is all about. A life with Jesus Christ is exciting, challenging, and the most rewarding experience a person can have and we want to introduce and encourage middle school and high school students to begin and develop that kind of life. You can download a detailed copy of our Philosophy of Ministry here. By being a part of IMPACT, you’ll be a part of a group of your peers who are developing that same relationship with Christ. You can expect to be a part of fun and meaningful youth worship events, deeper discussion in a smaller group of students your same age, and lots of other opportunities for special events like worship events, mission trips, retreats, and other monthly special activities. PARENTS: We require that students participating in off-campus activities have an annual Medical Release Form filed with the Church Office. This form provides important medical information and serves to protect both your student and the church in the unlikely event of an emergency medical situation. If the student is under 18 years of age, this form must be notarized. For your convenience, we will be organizing opportunities for you to meet with a notary here at the church. 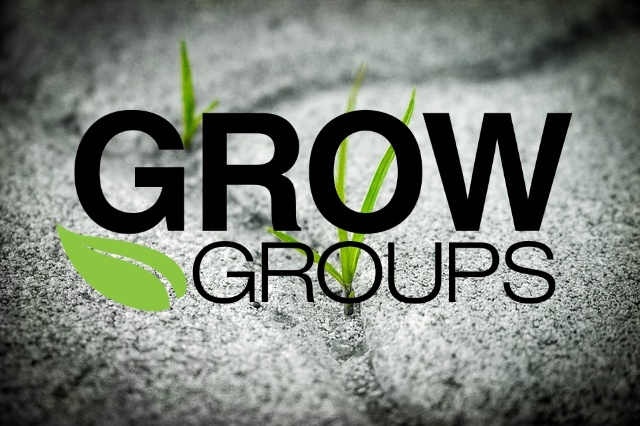 D-Groups - Wednesdays at 6:30 p.m.
GROW Group Session - Sundays at 9:00 a.m.
D-Groups (or Discipleship Groups) gender and grade specific small groups meeting on a weekly basis to dive into God's word and apply it to the student's everyday lives! 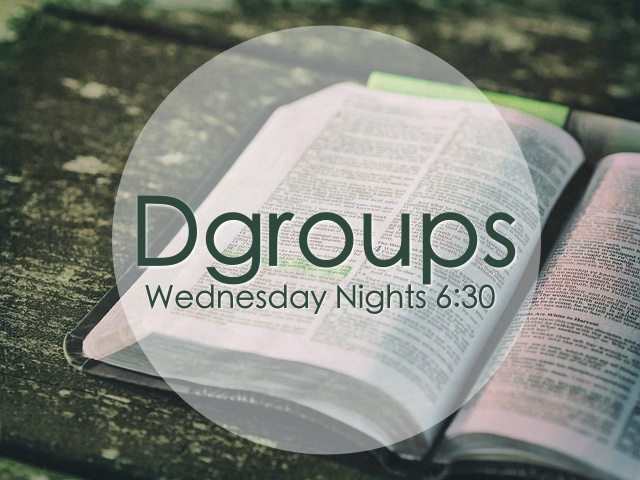 The goal of D-Groups is for students to grow in their relationship with Christ, and to take ownership of their faith by starting to read their Bible and have a daily walk with Him. 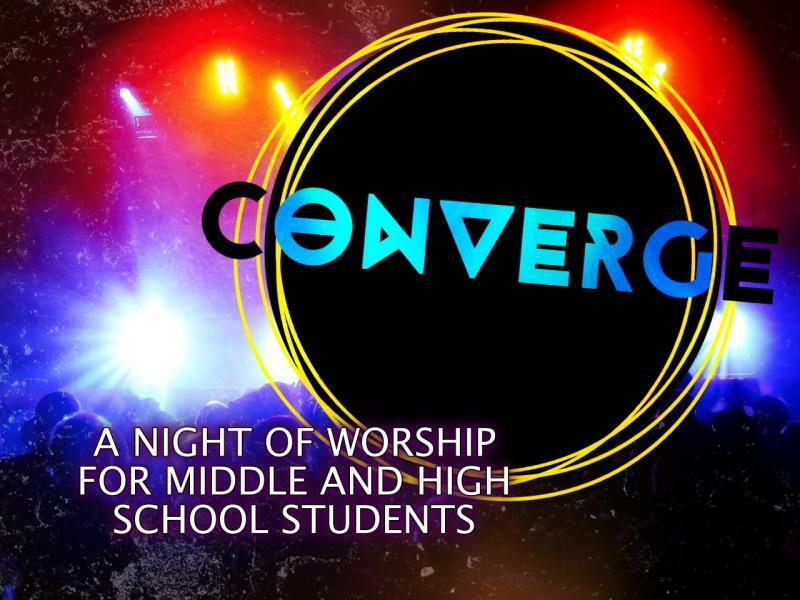 Converge is a corporate worship event specifically designed for Middle and High School students. Students are encouraged to invite their friends that may not normally go to church. Each service includes music, food, games, and a time of opening God's word. A Christian music concert held at the Spectrum Center in downtown Charlotte. We will be leaving immediately after the 1030AM worship service, stopping at a fast food restaurant for lunch, then get in line downtown. The concert seating is first come first serve, so we are going to have to be in line early. The cost is $15 CASH at the door, plus lunch and dinner money. We will be standing in line for a while, so please dress appropriately. It could be cold! The deadline to sign up is Jan. 16th. Since Cabarrus County Schools are out the next day, we will stay for the entire concert. Converge is a monthly worship service for Middle and High School students! There will be games, prizes, worship, prayer, and teaching. And, as usual, we will have free dinner after! The "Christian in Action" Grow Group would like to host a hangout for the student ministry at Harrisburg Park on March 24th after church. We will have picnic-lunch, snacks, football, soccer, corn hole, spike ball, etc., and a great time hanging out together! We will meet at the park after church (Noon) and will hangout until 4pm. If you cannot stay the whole time, that is ok! Come for what you can! I hope that you and your family will join us as we celebrate our risen Savior on Easter! Seniors! Today is your special day where we as a student minstry and church want to recgonize and congratulate you on graduating High School. You will be recognized in the worship service and you and your family are invited to a lunch after church. If you would like to participate in the festivities, please contact Evan for more information. I hope that you will join us for our Community Missions Week! Each day we will be working with local ministries in our area as we serve our community together! Our day will start at 9am at PBC and we will return at 4pm. Students will need to bring a lunch for each day. The deadline to sign up for Missions Week is June 9th. Wednesday - What Matters Most Field Day and Picnic - WMM is a day program for developmental disabled adults in Concord. We will be hosting them to a field day at a local park with games, cook out, and a lot of fun! Thursday - Samaritan's Feet - We will be going to the Samaritan's Feet Warehouse in Matthews, NC and helping them sort inventory, prep. shoes, and help their organization fight the battle of shoelessness around the world! Crossroads Summer Camps has been in ministry for over 20 years. Each summer, churches come together to celebrate the Gospel as a family. This summer all Middle School and High School Students will have the opportunity to enjoy and experience “Word Became Flesh” together. Students will play games, learn, grow, and worship under the teaching of Clayton King. The camp is located in Anderson, SC. The deadline to sign up for the Lake Day is July 10th. This is a firm deadline so Evan can make necessary transportation arrangements and have adequate adult supervision while at the lake. We will return back to church at 9pm. Parents, if you need to pick your student up early, that is not a problem, the address is in the sign up form. Approx. drive time is 40 minutes. IMPACT Students are currently going through “The Gospel Project” by Lifeway. This study takes a chronological look at the Bible and shows how the message of Jesus’ life, death, and resurrection is found throughout all of Scripture, not just the four Gospels. Join us as we look at “The Gospel Project” . Discipleship Groups are age and gender specific small groups that are focused on reading God's word, praying for each other, and sharing life together. We believe that lasting life change comes through small groups and discipling each other. We hope that all students would be involved in one of our Discipleship Groups! !